We just wanted to let you know what kind of functionality we're working on at SecondTeacher. 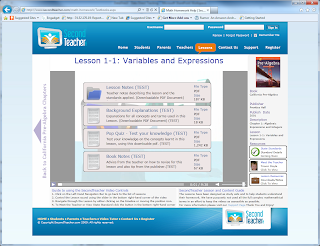 We have started to create a new downloadable section on each lesson where we can add various pieces of content that will enable the user to download Lesson Notes, Pop Quizes etc. This is totally configurable and we can set unique content on each lesson. We are still in the process of developing the content but wanted to publish this information to enable our users to try it out. 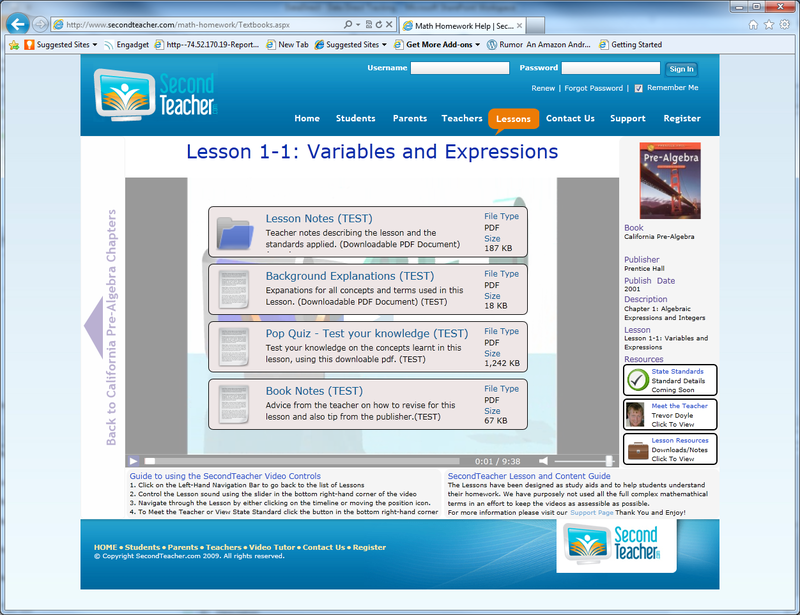 To access the resources click on the "Lesson Resources" box on the lesson. Try it out! We are interested in finding out what kind of resources you'd like to see please let us know on the comments and we'll get to it.